Happy 100th birthday to the fabulous Bea Wain! Most of what’s in that piece is still relevant, except that Bea herself now, today turns 100 years old. 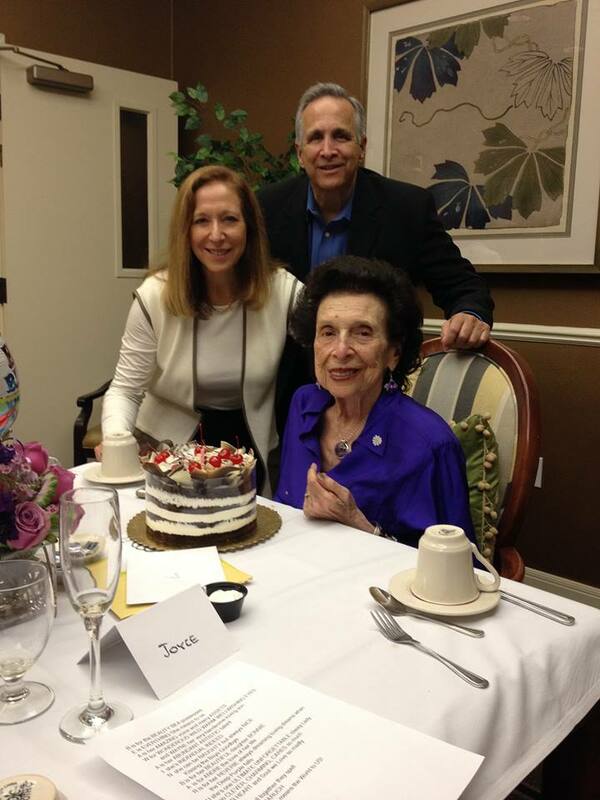 Her daughter has told me that she is in good shape and that they will actually celebrate her centennial. The 1930’s truly was a golden decade for vocalists, and a lot of the guys & girls who started recording back then, have left us awesome legacies of great music. Not many are still around though; Vera Lynn turned 100 in March (and released a new album! ), most of the others are gone by now, one of the most recent being Kay Starr who died last November at the age of 94. I bow my head in admiration for Bea’s 100th birthday today – and I certainly bow again, for her totally wonderful contribution to the world of song. 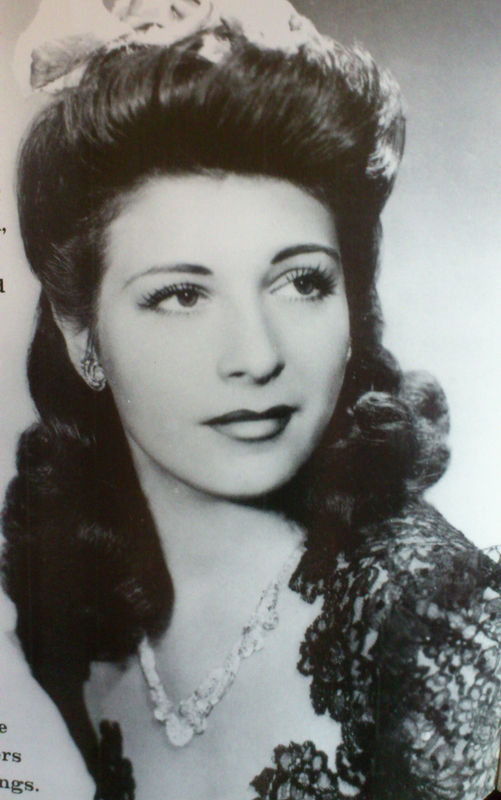 Any young singer out there who wants to learn all about phrasing, breath control, involving yourself in the lyrics you sing or how to make each performance unique; all you need to do is listen to Bea Wain – ’cause she’s the best! There will never be another one like her, and for ages to come she will stand as the perfect template to any and all singers of popular music! Dear Bea: Wishing you the very best for your birthday and the days to come! With much love and admiration from your biggest fan in Norway. Mwah!! Happy birthday to Vera and Jennifer! March is almost over, but during this month two very special musical personalities both celebrated landmark birthdays: Dame Vera Lynn turned 100 years old on March 20th, and on March 3rd the great Jennifer Warnes turned 70. As much as I would have liked to see the media flooded with tributes and congratulations, both dates were passed over sort of quietly, at least here on the north part of the globe. 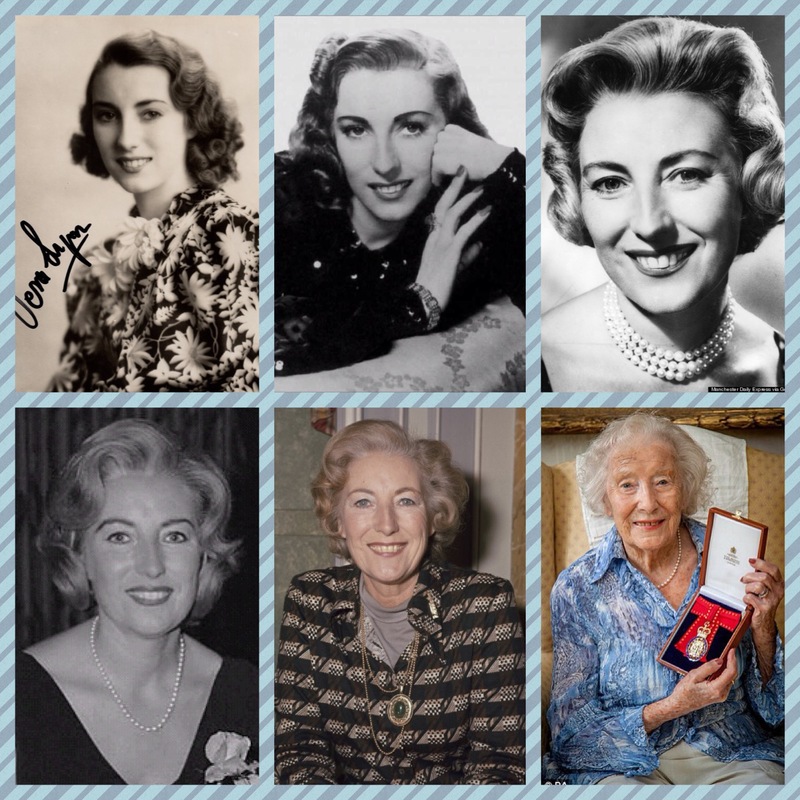 Dame Vera Lynn: It somehow seems just right that Vera has gotten to celebrate her centennial – she definitely is one of the historic musical legends of our time. She made her first record “Up The Wooden Hill To Bedfordshire” in 1936 (yep, that’s 81 years ago! ), and just released a new collection of music – making her the only artist ever to have a new album out at age 100. She is also just about the only person still alive, who made records back in the 1930’s. With the death of the great Kay Starr in November 2016, the only other 30’s singer I can think of who is still around, is Bea Wain, and she herself will turn 100 in April. With such an illustrious career to look back on, I am sure Dame Vera must be very happy when she now enters her 101st year. 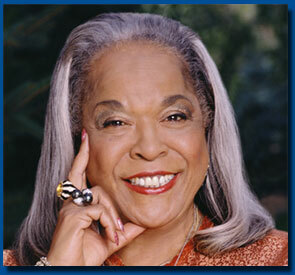 I certainly bow my head in honor of what she has achieved during the more than 80 years she has been active as a singer. 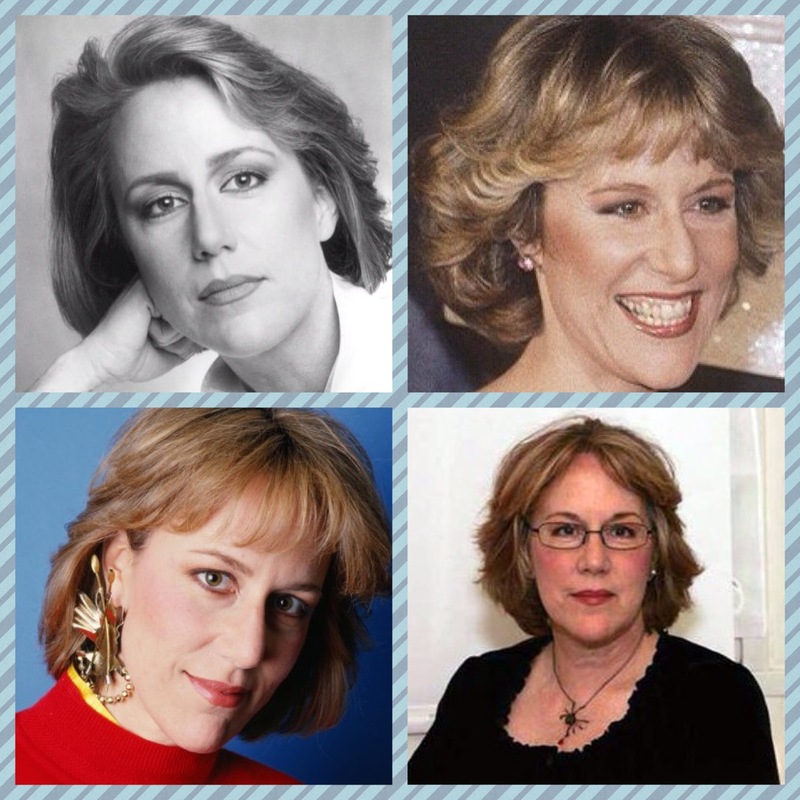 Jennifer Warnes: A totally different kind of singer is Jennifer Warnes. Next year will mark the 50th anniversary of her debut record, and whereas Vera Lynn has made so many albums you can’t count them, Jennifer has made just 8 (yeah, eight!). Her studio albums came out 1968, 1969, 1972, 1976, 1979, 1987, 1992 and the last one in 2001. But it’s what on those 8 albums (and assorted singles) that really counts, and Jennifer Warnes’ career is still a great one. Jennifer reached the top of the US Charts twice in the 1980’s – both times as one part of a duo, both times with songs from a movie soundtrack, and both times with songs that are not on any of her 8 studio albums. The first one was of course the theme song from “An Officer & A Gentleman” titled “Up Where We Belong“, performed with Joe Cocker in 1982. 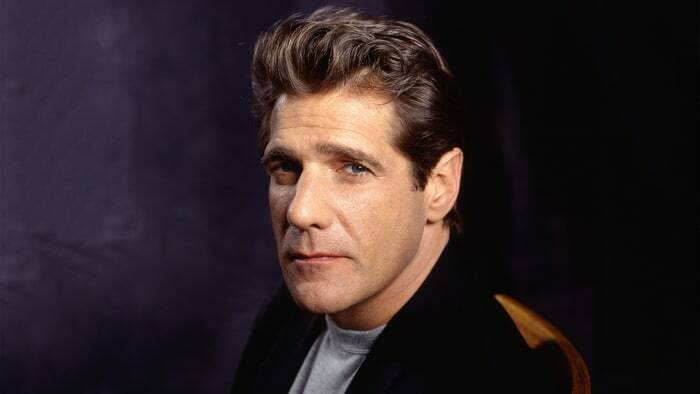 Five years later she sang the theme from “Dirty Dancing” with Bill Medley, called “(I’ve Had) The Time Of My Life“. Despite the fact that she has been recording for almost 50 years, a lot of people don’t know who Jennifer Warnes is, which is a great pity – as she is supremely talented and her voice has a very special timbre which makes her easy to identify when you hear her sing. I would recommend any and all albums – and even the greatest hits collections that are out there. If you don’t know Jennifer Warnes, you better get acquainted very soon! Some of her songs have become part of our musical history: “Right Time Of The Night“, “It Goes Like It Goes“, “Could It Be Love“, “First We Take Manhattan” (written especially for her by her former boss, Leonard Cohen) and her supreme cover version of the Waterboys’ “The Whole Of The Moon“. Obviously content with not being a megastar who is always in the media, Jennifer instead has taken her time between each album, making sure that when a new one appears – it is filled with Grade A material! That said, I much prefer the Jennifer Warnes approach to a musical career, instead of all the pop tarts who are always in the media but can’t really sing, and are more famous for being famous than for any artistic qualities. We can still hope that Jennifer will make new albums in the future – and if and when she does, you can bet it will be 100% pure pleasure to listen to! A belated congratulation to both of these legendary Ladies of music! The first thing that strikes me when looking back at 2016, is that some of the stuff I said I was going to write about didn’t happen…. This is due to too much else going on, and thus some announced articles are still in the can, but will be published in due time. The musical year 2016 has already been called the worst ever; nothing to do with records published but due to the fact that we have lost so many great talents these last 365 days. January got off to a terrible start – when I woke up to the news that Natalie Cole has passed away last new years eve. 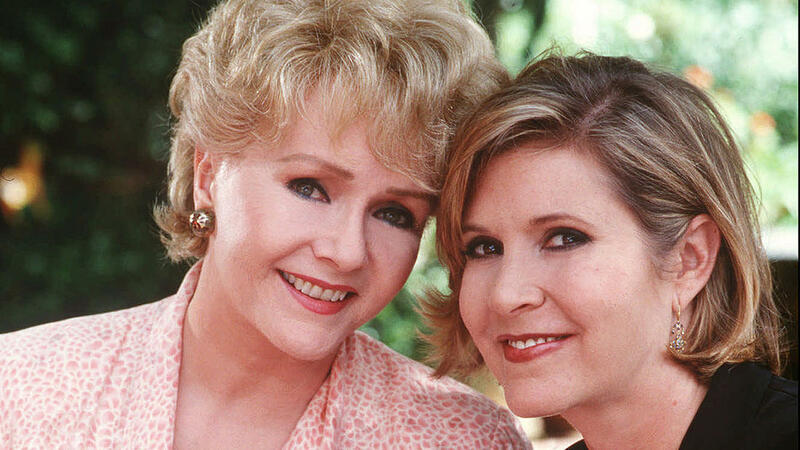 During this year we lost musical greats such as David Bowie, Prince, Glenn Frey, Leonard Cohen and George Michael… The movie and entertainment business wasn’t spared either – during the last two weeks of December, three great ladies all left us: Zsa Zsa Gabor (at age 99), then Carrie Fisher and the next day her mother Debbie Reynolds…. I was especially heartbroken by news of Natalie, Glenn and George – they were all artists I have listened to for years, I own every record they ever made, and I am so sorry there will be no more music from any of them. Despite growing up in the 1970s, I was never a big fan of sci-fi movies, and so I have actually never seen Star Wars, and my affection for Carrie Fisher is based on all other aspects of her career except Princess Leia. 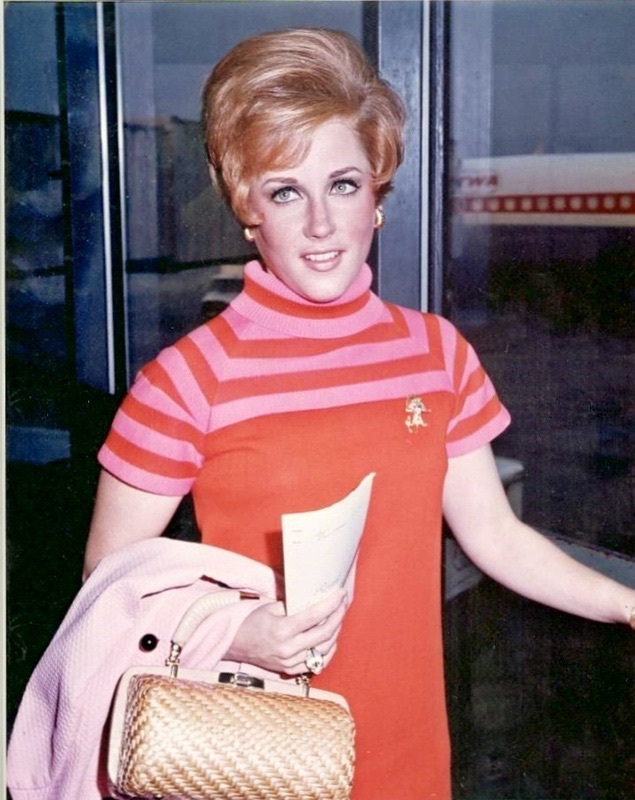 Her mother, Debbie Reynolds is much more up my alley – a classic pop singer who acted in movies, shows and made some really great records in the 50s and 60s. 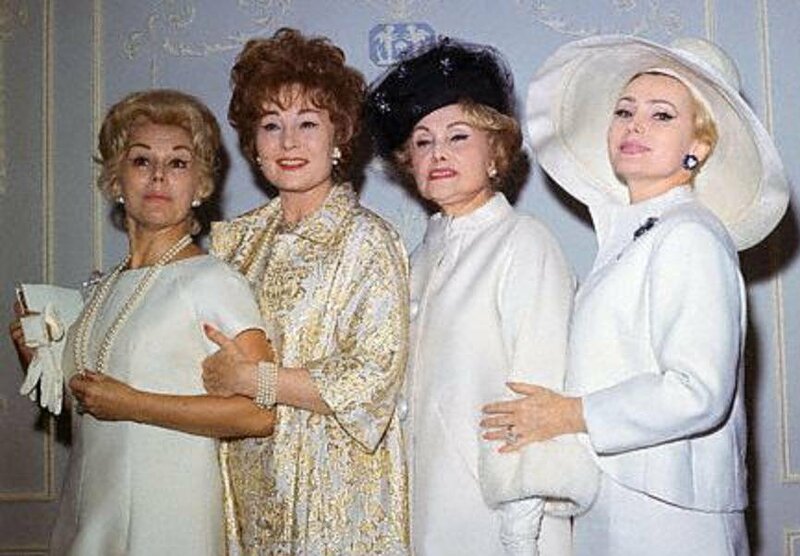 As for Zsa Zsa Gabor (1917-2016) – she’s in a league all of her own. 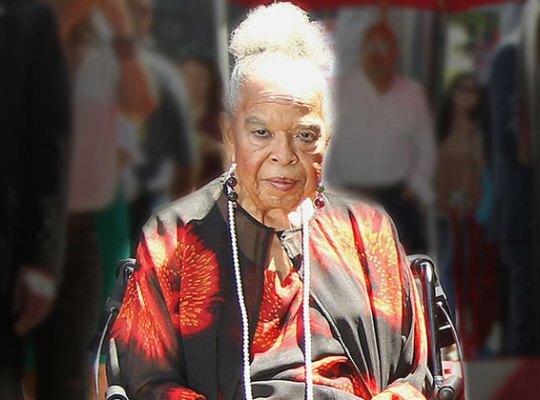 Her beauty, quick remarks and her 9 husbands are all part of her legacy, she is a celebrity of the highest order, and known much more for being just that than for any of the many movies she appeared in. She certainly has the genes of the rest of her family; her glamorous mother Jolie (1896-1997) lived to be a hundred. Her equally glamorous sisters Magda (1915-97) and Eva (1919-95) both lived long and gilded lives. These three sisters and their mother have made more headlines than any other acting family ever, and they continue to be a source of humour and joy years after their passing… They just don’t make’em like that anymore! I hereby wish all my readers a Happy New Year – keep checking back in during 2017 also! My last post on this site dealt with some fabulous disco records – all made in 1979. They were all more or less obscure one-off releases by some now forgotten acts and one by a never-to-be-forgotten-ex-Supremes diva, Mary Wilson. Another great record appeared that same year, a single called “Come To Me”. I bought the single, performed by a beautiful young girl called France Joli. The song starts out with a ballad intro, then picks up steam and turns into a disco extravaganza. When I bought her debut album, “France Joli” I was happy to find a much more complete (i.e. longer) version of the song on it, lasting close to 10 minutes. Followed by the next song, “Let Go” which is almost the same length, I was dancing around the room and I was definetely an instant fan of this Canadian singer – who was all of 15 when this album was made! The album consists of only four songs, all made for dancing – and totally perfect for 1979! Producer Tony Green (born as Antonio Di Verdis-Mazzone) had to strike while the iron was hot, and 1980 saw the release of another album, “Tonight“. Putting the ballad “This Time (I´m Giving All I Got)” out as the first single proved a wrong move, so more danceable stuff were put on the next singles; “Feel Like Dancing” and “The Heart To Break The Heart”. Luckily, these last two songs confirmed that France was indeed a force to be reckoned with if you wanted to dance in the late 70´s. Her third album for Prelude Records, 1981´s “Now!” saw a slight shift in musical directions for France. Turning down the tempo a couple of notches, this record is a much more urban contemporary affair, and a style that suits Miss Joli´s smooth, silky, but still strong voice. My personal favourites from this album are “Gonna Get Over You” and “Can We Fall In Love Again”. When France Joli switched labels in 1983, from Prelude to Epic, I was certainly not prepared for the musical change that also took place. The album “Attitude” shows a completely new France, and even as great as she had been up to this point – she gets even better here! Ditching the disco sound completely, France works with Pete Bellotte and Giorgio Moroder and they created an absolutely stunning concoction of radio ready rock with a slice of synth pop and just a tiny bit disco. France herself sings in a new way too, showing off that she is one terrific singer – as she slides effortlessly over the fast paced rhythms, heavy drum machines and guitar solos. She also wraps her silky pipes around some really juicy lyrics, done in tongue twisting tempos. Fourth album “Attitude” (1983) – you didn´t see this one coming! If comparable to anything else released in 1983, it has to be the albums Teri Tims and Tane Cain put out around the same time. These three albums by these three different singers form a category all their own, it might be labeled AOR – but it´s not quite that either. “Attitude” will forever stand as France Joli´s crowning achievement, and I consider it one of the best albums of the 1980s! Standout tracks are: “Nasty Love”, “Dumb Blonde”, “Girl In The 80s”, “Walking Into A Heartache” and “Standing In The Shadows Of Love”. If you want to own just one France Joli album – get this one! 1984 saw France participating at the Yamaha Music Festival in Japan, and she won the Grand Prix for her song “Party Lights”. That is no surprise as the George Duke-produced track is a stunner. 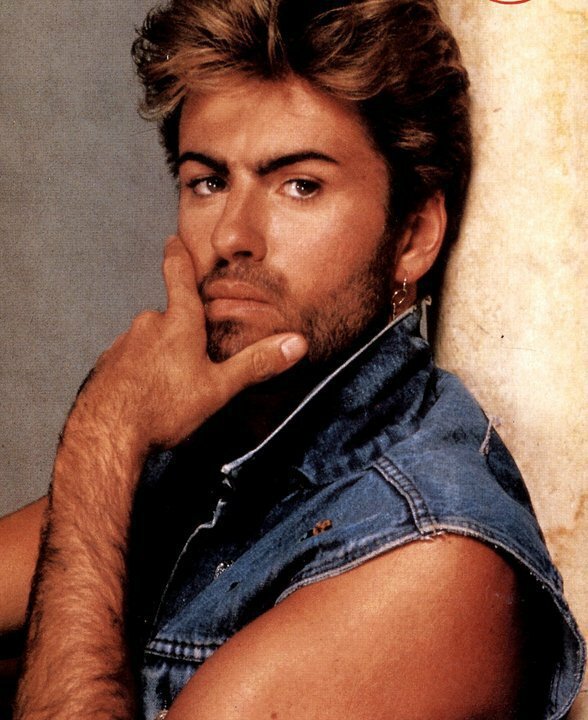 He also produced her fifth and final album, “Witch Of Love” (1985). In addition to her Japanese winning entry, the albums opening track “Does He Dance” was put out on a single and gained some attention in the clubs. On this album France does one of her very few ballad performances, a beautiful version of Snow/Weils “Love Always Finds A Way”. During the last 30 years, France Joli has done very little recording but a lot of live performing. She is an ever popular singer, appearing at festivals and disco shows to an always appreciative audience. Her career may be based on her 1979 hit “Come To Me” – but the few years she spent making albums has left us with a portrait of an artist who deserves to be considered as much more than a “70s Disco Diva”. Personally, I am sorry she didn´t make more albums, as she had potential to be something much greater, judging from her 80s albums. One can always hope that some producer will re-discover her, and get her back into the studios! Talent always wills out in the end…. My personal thanks to the “tres jolie” Miss Joli, vive la France! Since her untimely death in February this year, a lot of stuff has been written and said about this truly magnificent 60´s pop icon. 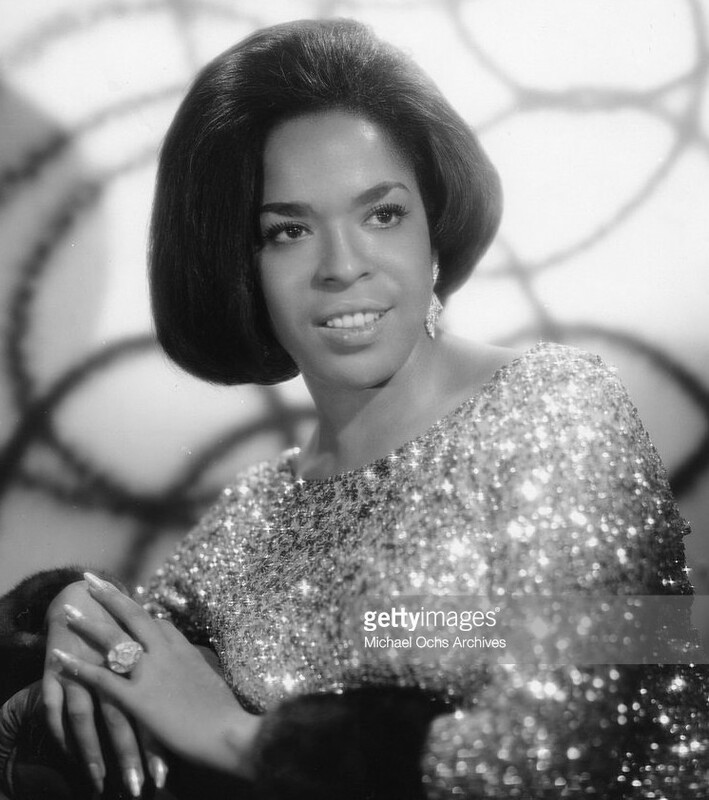 Much of it is praise for the fabulous singer she was, but she also gets much kudos for her songwriting and also her later engagement in the LGBT movement. 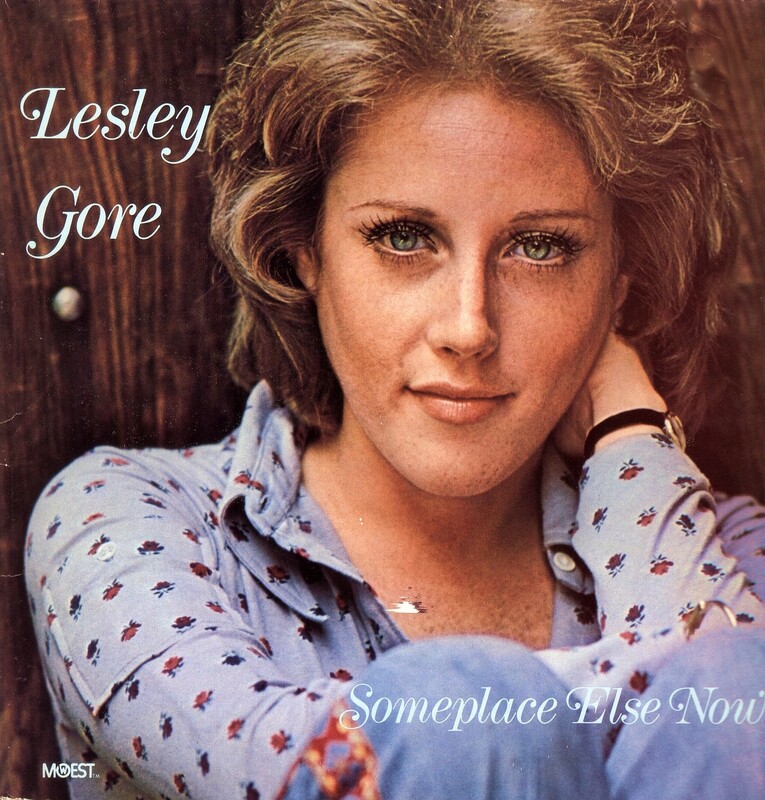 The title of her 1972 album pictured below has taken on another meaning now that Lesley is no longer on this earth…. When the album came out in 1972, the title had another meaning of course; it was a signal that Lesley had put her sunny girl-group style of pop behind her, and was heading in a new direction…. Artistically, it bears little resemble to her sixties material, but it more than shows that she had artistically grown! If the pop singer she was in the 60s was a girl, this album showed off Lesley – the grown woman. Coming a year after Carole King´s “Tapestry” – the ALL-encompassing charter on how to create a very good singer-songwriter album, Lesley´s 1972 output is of course touched by the influence of Queen Carole The King…. Throwing away any and all of the themes that her 60´s output dealt with (boys, lollipops, rainbows, kisses, Judy, young love, love gone bad, hoping to be loved by “him” etc) – “Someplace Else Now” contains a Lesley hitherto unknown to the public: the socially aware woman who damn well knows rainbows and kisses are of no use in every day life in 1972 America. Songs like “She Said That” (the albums lead-off single) and the heart wrenching “Out Of Love” (study those lyrics will you….) are maybe the two best songs here, but the other ten are great also. Lesley made a fabulous record at the right time, but tough competition from La King herself, and the fact that not many of Lesley´s fans from the previous decade understood what she was about at this point all contributed to the fact that the album soon fell into obscurity…. So, you may wonder, why am I writing about this long forgotten 70´s album now…? It´s out on CD now! For the first time in 43 years, you can buy this album again! And it is certainly one that is long overdue for re-release too! Whenever a popular singer dies, record companies usually mine their vaults to get a “new” album out. Thankfully, after Lesley´s passing they chose to haul this one up from the basement instead of making yet another “best of” collection. I certainly hope this will lead to a new release also for her “Love Me By Name” album that came out some years later…. Lesley Gore´s music is too good and too valuable to be kept from the public – and I am all too happy to finally have this one out on CD! That view is shared by millions of Lesley-fans around the world, and I know you will treat yourself to this one – now you better be “Off & Running” (pardon the pun – I couldn´t resist!) to the nearest record store. This re-release is not to be missed!